Time delivery can change from state and continent. Usually is 1 working day, but can be more in your state. Check your address before leave your order. You can check the delivery update from the mail of the deliver. Billiardshopgroup use the fastest and affidable courier for your items. 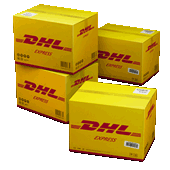 At about 20:00 gmt+1 you will receive tracking number from the deliver, and delivery date. If you register at the website and insert the items in the cart you can have a quotation about shipping cost. Rebember that only for Europe shipping cost is free for order over 150€.